Liquid error: undefined method `select!' for #<ContentNode::ActiveRecord_Associations_CollectionProxy:0x000055cb335913a8> Did you mean? select _select! As with past PAWA bills, this version, which has 27 co-sponsors, extends OSHA coverage to public sector employees in those states where they’re not currently covered (as well as federal employees), strengthens anti-retaliation protections for workers, requires the abatement of hazards during contests by employers and toughens criminal penalties. In addition, this year’s bill also includes provisions to codify OSHA’s severe injury and electronic injury reporting requirements (including the detailed reporting by large employers recently withdrawn by OSHA). It reverses the revocation of the “Volks Rule” which was repealed by Congress and the President under the Congressional Review Act at the beginning of the Trump administration. PAWA significantly expands workers’ rights to participate in improving health and safety in their workplaces, and enhances the ability of OSHA to effectively enforce safe working conditions. The bill significantly expands workers’ rights to participate in improving health and safety in their workplaces, and enhances the ability of OSHA to effectively enforce safe working conditions. If the nomination of Scott Mugno to head OSHA was an airplane flight, the endless delays would have driven you to give up air travel by now. As we last reported, Mugno had been re-re-nominated to the post of Assistant Secretary of Labor for OSHA. Mugno was originally nominated by Trump in October 2017, testified before Congress on December 5, 2017 and was approved by the Health, Education, Labor and Pensions committee on December 13, 2017. But because his nomination didn’t come to a vote before the end of that year, the White House was forced to renominate him on January 16, 2018 and he was again approved by the HELP Committee shortly thereafter. But yet again, the full Senate did not vote on his nomination due issues not related to his qualifications, forcing him to be re-re-nominated on January 16, 2019. The HELP Committee was scheduled to re-re-approve him (along with a number of other Department of Labor nominees) in a mark-up scheduled for tomorrow, but that session was inexplicably postponed to a date yet-to-be-determined. No word yet about why the mark-up was postponed. Just a scheduling issue? Time needed to go back and look at old yearbooks? Who knows? As expected, a lawsuit has already been filed opposing OSHA’s rollback of its electronic recordkeeping rule that we discussed here last week, and in more detail here. Public Citizen’s Health Research Group, the American Public Health Association and the Council of State and Territorial Epidemiologists filed a lawsuit last Friday asking the US District Court for the District of Columbia to overturn OSHA’s rollback of the recordkeeping regulation. According to Public Citizen attorney Michael Kirkpatrick,. When it issued the electronic reporting rule after an exhaustive process, OSHA concluded that requiring the submission of workplace injury and illness data would greatly enhance worker health and safety. OSHA has now rushed through a new rule drawing exactly the opposite conclusion, but OSHA has failed to provide any good reason for reversing itself. Chamber to OSHA: What Have You Done For Us Lately? Despite the OSHA cave-in to employer attempts to cover-up injury and illness information, the Chamber of Commerce thinks the agency should have gone further. According to Politico, Marc Freedman, vice president of employment policy at the Chamber of Commerce, is “disappointed” with the rollback rule, because it failed to address the continuing obligation to send in injury and illness summary information, and because it didn’t eliminate language that prohibits employers from retaliating against workers who report injuries and illnesses. Last week, the White House Office of Management and Budget cleared OSHA’s rollback of significant parts of the Obama administration’s electronic recordkeeping regulation and today the text of that regulation was released. The rollback, nothing less than a cover-up of worker injury and illness data at the behest of the Chamber of Commerce and friends, was rushed through OSHA and OMB review in record time. The rush is apparent from reading the regulation — numerous paragraphs and argument are repeated, evidence is incorrectly cited, evidence is lacking and the arguments are laughable. Furthermore, because of the rush or the government shutdown, the AFL-CIO’s request for a meeting with the Office of Information and Regulatory Affairs was ignored — an unprecedented action that resulted in the labor federation’s request to recall the regulation until a meeting takes place. "Under DOJ guidance received January 11, 2019, we are also allowed to publish documents from funded agencies if delaying publication until the end of the appropriations lapse would prevent or significantly damage the execution of funded functions at the agency. Agencies must submit a letter certifying that delaying publication of their documents would result in this situation. This certification provides OFR with documentation that publication in the Federal Register is a function or service excepted under the Antideficiency Act." 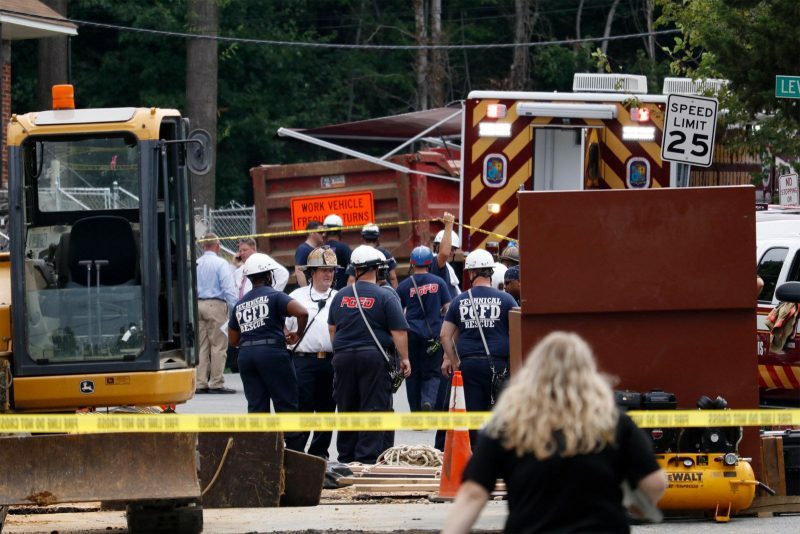 What “significant damage” will OSHA suffer if recordkeeping requirements aren’t rolled back today? Freedom of the Press is not Free — or Safe: Reporters Without Borders released its annual report last month of deadly violence and abusive treatment of journalists and the news isn’t good: “A total of 80 journalists were killed this year, 348 are currently in prison, and 60 are being held hostage.” And it’s getting worse. Murders, imprisonment, hostage-taking and disappearances have all increased. According to RSF Secretary-General Christophe Deloire, “The hatred of journalists that is voiced, and sometimes very openly proclaimed, by unscrupulous politicians, religious leaders and businessmen has tragic consequences on the ground, and has been reflected in this disturbing increase in violations against journalists.” I know at least one unscrupulous politician who should read this and reflect. 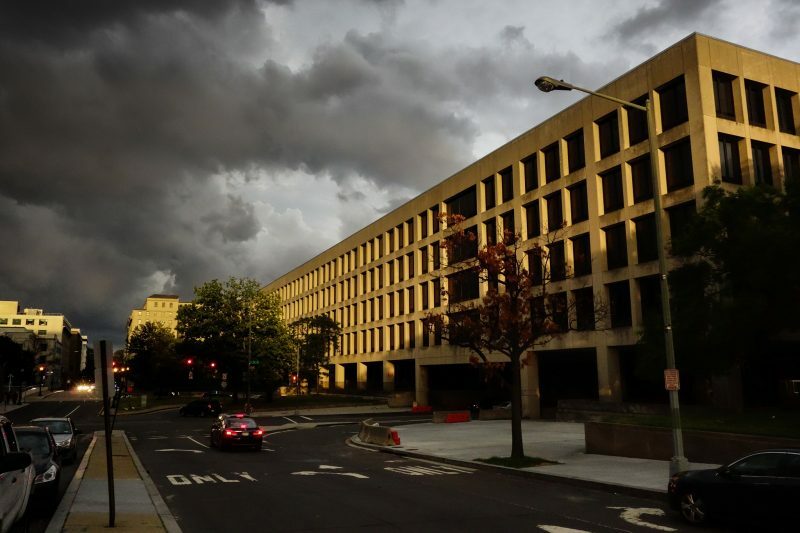 Spreading the Pain: Some federal employers are luckier than others because their agencies are still funded and they’re actually getting paid for their work. Instead of urging them to urge their elected leaders to end Trump’s vanity wall shutdown, “the Department of Labor’s assistant secretary for administration and management, Bryan Slater, sent an email urging department staff to help out workers at agencies affected by the partial U.S. government shutdown,” according to Bloomberg. Slater reminded those lucky DOL employees that ““This is a great opportunity to help fellow colleagues manage their bills, their child care and other everyday needs!” So instead of their employers paying them for the work they’re doing (or want to be doing), their fellow employees are now being asked to support them while the billionaire President sits in his bed, watching Fox “News” all day and tweeting lies after lie. Perhaps Labor Secretary Alex Acosta should do something real for the federal labor force and tell his boss to end the shutdown. Mining Fatalities Down Slightly in 2018: MSHA is boasting the second lowest number of fatalities n the nation’s history. 27 miners were killed in 2018 — 12 coal miners, and 27 metal/non-metal miners. Last year 15 coal miners were killed and 13 metal/non-metal miners. 2016 saw the lowest number with 25 killed — 8 coal miners and 17 metal/non-metal miners. Unfortunately, it only took a few days into 2019 for the first mining fatality: John Ditterline, 55, of Equality, Illinois, was killed January 4. Ditterline was a contract employee in the underground mine, working for Clay, Kentucky-based S & L Industries. The mine is owned by Alliance Resource Partners, LP. The Bureau of Labor Statistics today released its 2017 Census of Fatal Occupational Injuries— and it contained good news and bad news. The good news is that workplace fatalities fell slightly, less than 1% last year from 5,190 fatal injuries reported in 2016 to 5,147 last year. The fatality rate also declined slightly from 3.6 to 3.5 deaths per 100,000 full-time equivalent workers. Today’s sobering report comes at a time when the number of Occupational Safety and Health Administration inspectors is at the lowest point in decades and the Mine Safety and Health Administration inspection force has dwindled. Instead of increasing life-saving measures aimed at protecting working people at their workplaces, the Trump administration is rolling back existing safety and health rules and has failed to move forward on any new safety and health protections. Most of these job deaths were preventable, caused by well-recognized hazards. SHA just made history. For the first time in human memory, an OSHA regulation has gone over to the White House for OMB review earlier than predicted in the Regulatory Agenda. You may recall last July, OSHA proposed to rescind the part of the agency’s “Electronic Recordkeeping” regulation, issued under the Obama administration, that would have required certain employers to send to OSHA detailed information on injuries and illnesses from the OSHA 300 Form and the more detailed 301 form. The Fall 2018 Regulatory agenda had predicted that the regulation would go over to OMB’s Office of Information and Regulatory Affairs (OIRA) on time for the standard to be issued in June 2019. OIRA is generally given 90 days to review a standard or regulation and often takes longer. In order to meet the June schedule, OSHA would have had to send it to OIRA by the end of March. The agency is running three months ahead of schedule. Now, as I’ve said many times, no matter what party controls the agency. OSHA almost never meets — much less exceeds — the schedule set in the Regulatory Agenda, especially in the middle of a Presidential term when there’s no pressure to finalize regulations before the clock runs out. Everything always takes longer than expected and other priorities tend to get in the way. So, you might ask, what’s the rush?